consumerism) is more Germanic. Christmas trees and Santa by themselves account for the bulk of the cultural icons that make or permit Christmas to be shared among all our people. Many Americans who aren't religious, or even Christian in background, have adopted these two aspects of Christmas. 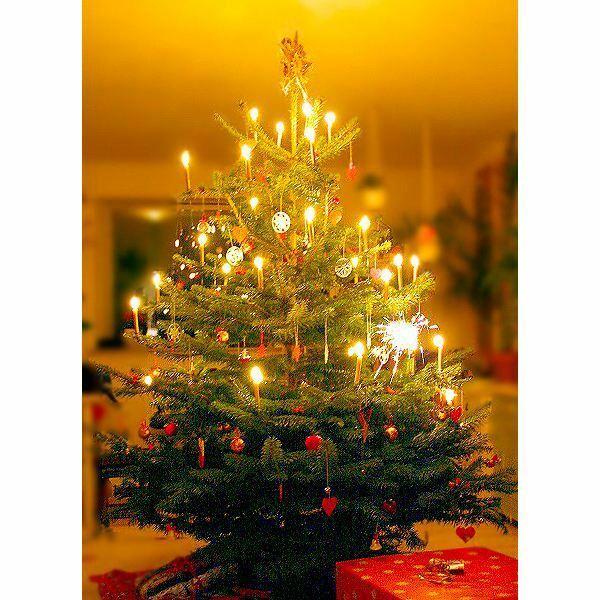 The custom of Christmas trees in England seems to have also come from the Germans, although trees were also sacred things in England to the pre-Christians — it was an easy step to adopt the custom because it was already a part of their cultural baggage, so to speak. Carols, giving gifts to tradesmen on Dec. 26 (called Boxing Day, a time when the English enjoy horse racing), taffy pulls, many of the foods — especially puddings — are all familiar contributions of the English. The idea of sending Christmas cards started in England in the 1840s. While many people in the USA will leave presents for the tradesmen who provide many basic services (a case of beer for the refuse collectors, for instance), there is no particular day when this is done and no one in the USA is likely to call it Boxing Day. Yet Christmas in England has a few customs that would be unfamiliar to many Americans. The Yule Log is one. It is of Druid origin, that is, it is a pre-Christian custom associated with the winter solstice which, when the English accepted Christianity, they preserved and began associating it with the other religious aspects of that time of year. "Crackers" are an interesting custom we do not have in the USA — almost certainly because it is of relatively recent origin (a creation of a Mr. Tom Smith in the late 1800s). Crackers aren't for eating. They are tubes made of colorful paper that contain toys or jokes. They are called crackers because two people each pull on their end of the tube and it makes a crackling sound when it breaks, sounding a bit like twigs cracking in a fireplace. One has to wonder if he was inspired by the Mexican piñata. Another custom involves the theatrical pantomimes that involve creative enactments of fairy tales. The English call these pantos for short. Most Americans hang mistletoe, holly or ivy at Christmas time. Originally, like the Yule Log, these were sacred plants to the Druids, because they were evergreen. The most sacred mistletoe would be found growing among the branches of an oak tree — also sacred to the pre-Christian people of England. Like the differences in the English language we have in common with England… there are differences in the way we celebrate Christmas on each side of the Atlantic. What Actually Took Place on the First Thanksgiving?